Today we're spotlighting American Ghoul by Walt Morton. It sounds like it's a coming-of-age horror novel set in the 1970's! How cool does that sound? “A young punk rocker comes of age by accepting who he is on the way to becoming the ghoul he wants to be. In the Summer of 1977 Howard Pickman loses both of his parents in a fire. In a moment he finds himself leaving the deep south, bound for New Jersey. Within a few days Howard moves in with his grandmother and learns that they share the same dark family secret. 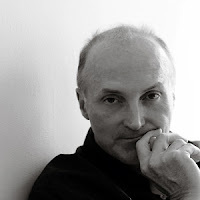 Walt Morton is a writer, photographer, and artist. 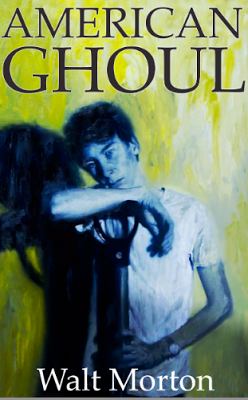 AMERICAN GHOUL, his debut novel, has been called “The Tom Sawyer of horror fiction.” With this book he is continuing a decade-long exploration into the macabre via photography, film, painting and writing. Walt has lectured at the British Film Institute and studied intensively in five martial arts. AMERICAN GHOUL is his first of a planned sextet of books that reinvent the supernatural horror genre. Born and raised in rural Pennsylvania, he now lives in Venice, California with his dog, Juniper. For more about American Ghoul check out these sites! Wow, that does sound kind of intriguing. Whoo! This book is dark and disturbing. Thanks for sharing! Wow, that's different for a paranormal. Thanks for sharing.